The environmental services industry is a very broad field and encompasses many different kinds of services but a majority of these activities are involved with pollution prevention and preserving the habitability of natural and man-made environments. Whether your company is looking for help with special waste disposal or needs emergency responders for chemical spills, it is important to vet the contractor that will be providing these services. Choosing an under-qualified or unreliable contractor could result in fines for noncompliance with environmental regulations and projects that go over budget. When a response is needed right away it is difficult to know which environmental contractor to call just based off the results that come up from a search engine. Some of the contractors offer only specific services such as mold and asbestos abatement and others provide non-emergency remediation and don’t have responders available 24/7. 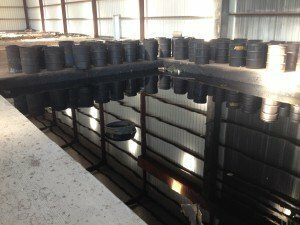 The best thing a company can do to make sure that their waste and chemical spills are managed properly is to do their research. Finding out what a contractor’s capabilities are and where they are physically located goes a long way toward ensuring your company gets its environmental needs met efficiently. Protect Environmental Services has operated since 1996 and provides hands on management in a variety of situations. Our goal is to offer environmental solutions with flexibility and cost consciousness. When you call Protect for an emergency chemical response, confined space entry or industrial cleaning it will be Protect’s trained personnel leading the operation on site. We scale our responses to match the circumstances and bring in additional resources only if it is warranted in order to keep costs reasonable. We can also find the best disposal options for just about any kind of waste that your organization generates. Feel free to browse our website and other blog posts to learn more. If you have any questions or would like to request a service estimate, give our staff a call (817-589-9005) or email (info@protectusa.net) today to see how we can help you.